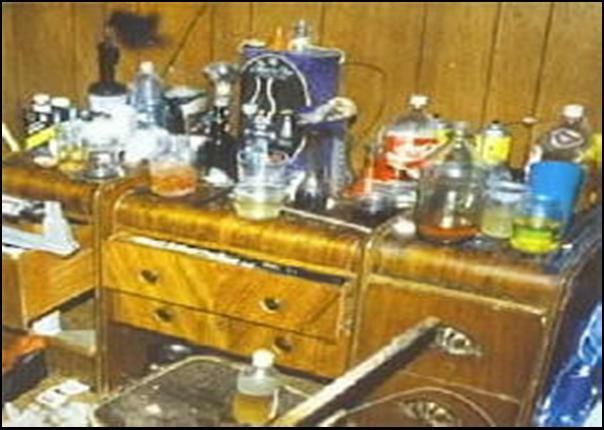 Will Meth Making Make Comeback During Economic Lull? 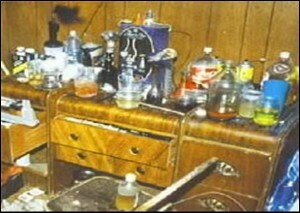 It’s a nightmare that most of us are trying to forget: the agglomeration of dangerous and pungent meth labs sprouting around our neighborhoods. Such labs are mostly a thing of the past (though not entirely) thanks to “precursor laws” that allows the authorities to keep tabs on how much pseudoephedrine — the key ingredient in the drug — we’re buying. But a terrifying story out of Walla Walla today demonstrates the dangers of such speed manufacturing: Two 19-year-old women and a woman in her late 20s were killed and a man injured when meth-making chemicals ignited and exploded. The DEA is always quit to tout its efforts at bringing down meth supply coming over our borders, as evidenced by a higher price on the street. But we know state and county budgets across the country are being slashed due to budget shortfalls. That could affect police and criminal justice-related budgets as well. And with many companies slashing jobs, hard economic times tend to bring a spike in drug use. We also know the governor is considering a move that would close our local drug treatment facility for low income drug addicts. That means more drug use. And if the DEA is correct — that trafficking is down — more entrepreneurial efforts to produce meth may come to fill the void. For now, we’ll brace for such an impact. Remember how gun sales have jumped and concealed pistol licenses are up in Washington? Here’s one reason why, according to gun owners and confirmed this week by U.S. Attorney General Eric Holder. President Obama plans to reinstate a ban on so-called “assault weapons,” one originally imposed by President Bill Clinton’s administration. As we’ve previously reported, CPL — concealed pistol license — holders jumped from about 179,000 to 258,000, 43 percent, between 2003 and 2007, according to the state Department of Licensing. In Kitsap, applications jumped from 1,587 in 2004 to 3,339 in 2007. The Federal Assault Weapons Ban first passed the U.S. House of Representatives and the Senate by slim margins. Signed into law by President Clinton, it had a “sunset provision,” and was not extended past 2004. Will a renewal of such legislation see a new surge in weapons buying? Only time will tell. It’s always painful to read police reports of Kitsap Peninsula residents getting scammed through the mail. This scheme, though, has a special sting to it: the “Mystery Shopper” scam. Inside the letter was a check for $3,991.35. She was asked to return a money order to the research group for $3,325 to cover costs. There were a lot of red flags in this letter. But sending more than $3,000 to a stranger is the biggest of all such flags. The woman felt “very upset over being victimized in this scheme.” I don’t blame her. I yearn for the day I never read a report of this type again. Would Abolishing the Death Penalty Save Money? All this talk of the $8 billion shortfall we face as a state will undoubtedly lead to conversations about the death penalty. In several states — especially Maryland, Montana and New Mexico — bills are being considered to end the death penalty, and with it capital punishment’s seemingly endless appeals process, reports the New York Times. We chronicled this merry-go-round of sorts in a special report in November. Such appeals, and all the lawyers and paperwork therein, rack up lots of taxpayer money. This just in: a Palm Springs, Calif.- jury is penalizing a 77-year-old man to the tune of $6.75 million for knowingly infecting his sexual partner with genital herpes. The 56-year-old woman awarded the sum in Riverside County Superior Court was unaware of the 77-year-old’s disease, and “he failed to disclose it to her prior to their sexual relationship and failed to use a condom to protect her,” lawyers with the firm Slovak, Baron & Empey said. The lawyers claim it to be the largest ever award in such a case. “We presented evidence to the jury that he ruined her life as a result of his blatant disregard for her health and he showed no remorse. It’s unforgivable. She will have to live with this for the rest of her life,” said Shaun Murphy, one of the woman’s attorneys. “This verdict is a clear message to all persons infected with a sexually transmitted disease that this type of behavior simply will not be tolerated,” he said. A Poulsbo couple endured this year a Valentine’s Day gone bad. The pair made a decidedly bad decision: shooting heroin. But they told a Poulsbo Police officer that their preferred opiate — OxyContin — was just too expensive, according to Kitsap County court documents. So they turned to the notorious street drug. And such a roll of the dice led to near-death consequences. Anyone who has been under the influence of an opiate — whether you’ve had your wisdom teeth pulled or turned to the streets for smack — knows it is a dreamy, pain-free, sedated high. But make no mistake: whether it’s OxyContin, Vicadin, Percocet or heroin, they are cut from the same cloth. Recently, prescription opiates like OxyContin have shot up in price due to supply shortfalls, according to a recent story in the Bellingham Herald. 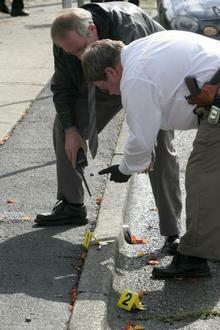 That may lead to an increase in addicts turning to the streets for the sometimes-deadly heroin. Think I’m exhaggerating? Then you haven’t met someone addicted to an opiate. Such a habit is one of the most difficult to break. Anyway, back to the Poulsbo couple. The Poulsbo cop got the call, but the 911 caller had abandoned the couple’s home. He was able to see inside, and found the two unconscious. He saw a “black tar substance” with a “distinctive odor,” nearby. Apparently, the couple had been smoking the black tar variety, and not “shooting” it, as seems to be the technique most documented in our culture. Medics used Narcan to reverse the effects of the respitory depression that could’ve killed the couple, court documents said. They both recovered, and will face criminal charges. This just in from the Associated Press wire: Pets could soon be protected under domestic violence laws. The idea behind the measure is to close a loophole in divvying up property in domestic violence disputes, argues its author. Crime Blotter a ‘Dying Art,’ Times Declares. Who are They Kidding? Newspapers are shrinking. There’s really no disputing that. But is the crime blotter fading with them? Maybe in the Big Apple. But I tend to doubt that claim elsewhere. One need only Google “police blotter” to find hundreds of entries of news organizations devoted to this stuff. One point of disclosure: I am one of those dinosaurs the NYT talks about that goes to the cop shop most days in search of newsworthy reports. I am not writing this because I’m offended by the prospect of a waning blotter section. That said, I get a front row seat each day to witness their popularity, especially on our web site. They bring in droves of readers. And, somewhat offensively to we reporters, a little regurgitation from a police report often trumps — in reader page views — a long-researched, labored-over article that we put our heart and soul into. Quite contrary to the New York Times’ story, if and when newspapers and media organizations recover from this recession, police blotter will likely be front and center more than it ever has been before. What was Mr. Toad Convicted to Serve Hell Sentence for? Blogger’s Note: Yes, this is indeed well off the beaten path of our usual topics, something I’ve researched on my own time. But I will ponder it anyway as a rather imaginative crime and justice issue. Comes now Mr. Toad — AKA J. Thaddeus Toad, Esq. — whose reckless and felonious conduct brings him before the Crown, and whose criminal conduct is punishable only by an eternity in the heavy heat of hell. At least, that’s how I now understand the twists and turns of Mr. Toad’s Wild Ride, one of my favorite attractions at Disneyland as a kid. Mr. Toad’s Wild Ride is one of the few attractions left at Disneyland that opened when the park did in 1955, according to Wikipedia. When I rode it, I was clearly too young to follow its rather law-and-orderish story line. But some close friends of mine visited the Anaheim park last weekend, and reported back to me the outrageous acts that led to his fate: don’t pass go, don’t collect $200, go directly to hell, Mr. Toad. Long story short: Toad has a need for speed. Whether it’s horse-drawn buggies, motorcars or even planes, he drives fast and furiously. Hit and runs. Eluding police. Grand theft buggy. He racks up felonies like no amphibian ever has. And to top it off, he even breaks out of jail and is immediately putting his lead foot forward once more. Will Obama Soften Federal Pot Policy? 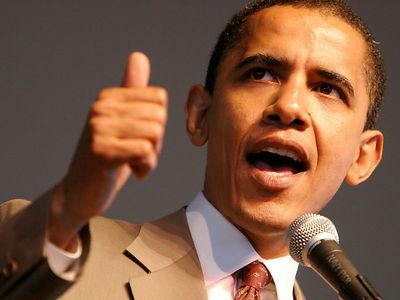 In a land where — despite its illegality — 1,800 pounds of marijauna is found in lawn statues and even sports columnists have grow operations, drug policy spectators want to know: how will Barrack Obama continue to fight our drug war? It’s too soon to tell. But there are early signs that our 44th president may soften the federal stance on pot — at least its use for medical purposes. A story in the Washington Times last week covered some raids of medical marijuana shops in California. But before advocates were quick to criticize, the story pointed out that Obama opposes such raids — he just hasn’t gotten around to installing his choices to lead the Drug Enforcement Administration, roles which are still filled by George W. Bush’s appointees. Those appointees continue to carry out the policies of our 43rd commander-in-chief.